The druid grove and the black dragon area in Suldanesselar both have custom, night graphics for the area that weren't being used. These custom night maps have been restored. 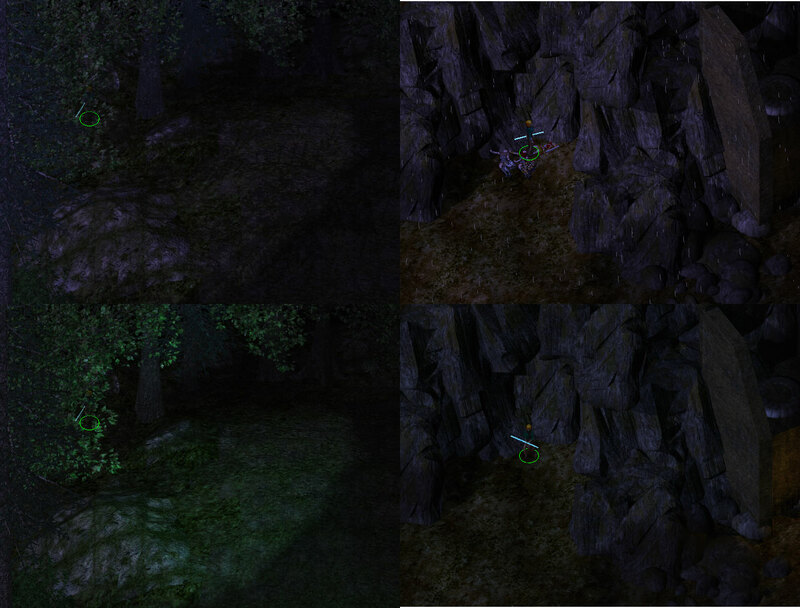 The left column is the black dragon area and the druid grove at right; maps without the Fixpack are on the top and with Fixpack on the bottom.